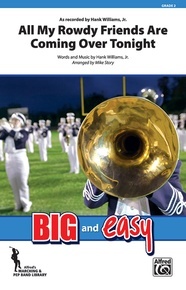 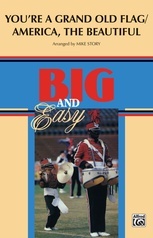 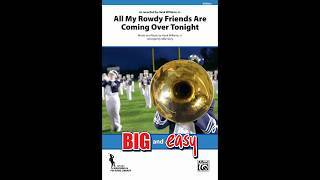 All My Rowdy Friends Are Coming Over Tonight: Marching Band Conductor Score & Parts: Hank Williams, Jr.
As Recorded by Hank Williams, Jr.
Everybody knows this tune as the "Monday Night Football" theme. Mike Story has arranged this Hank Williams, Jr. classic into a chart that every band can play. This one rocks! Composed by: Hank Williams, Jr.